You're staying in Tokyo, you've got some awful jet lag (or just arrived at a really weird hour of the day) and you've found yourself awake at the crack of dawn. With breakfast always being touted as the most important meal of the day, you figured you'd go out and grab some grub. Oddly though, in a bustling city like Tokyo, the streets can be rather quiet first thing in the morning. Coming from Australia myself where the cafe culture is big, you can find many places to eat even in smaller towns that regularly open around 6am. Tokyo, though? Many eateries don't open until 10 or 11am - which is when a lot of us are already thinking about lunch, am I right?! Sure, you've got convenience stores that are great for grabbing some brekky stuff on-the-go, but sometimes you just want to sit at a table with a coffee and have a leisurely morning meal. Here are five spots you can visit in Tokyo if you're up early and eager to start your day - all of which open at 9am or earlier. If you like a good breakfast (and a good pun), this is a tasty place to stop at. Firstly, the store decor is super cute which always gives out some bonus points in my opinion, but the food is on point. 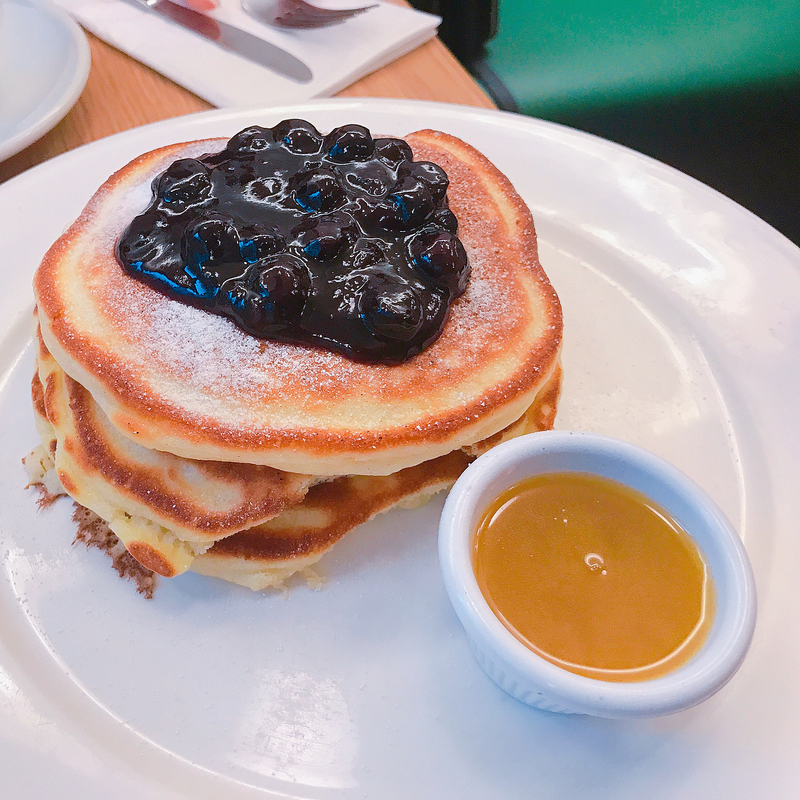 From eggs benedict (naturally, at a place called Eggcellent) through to coconut pancakes, there's something sweet or savory to suit just about anyone's tastebuds. They've also got a comprehensive drink menu, from seasonal juices to smoothies, coffee, tea and more. You can find Eggcellent at the map location below. Opening Hours: Monday to Sunday from 8.30am. I'm a little partial to Bills myself - it may be the Aussie side coming out. 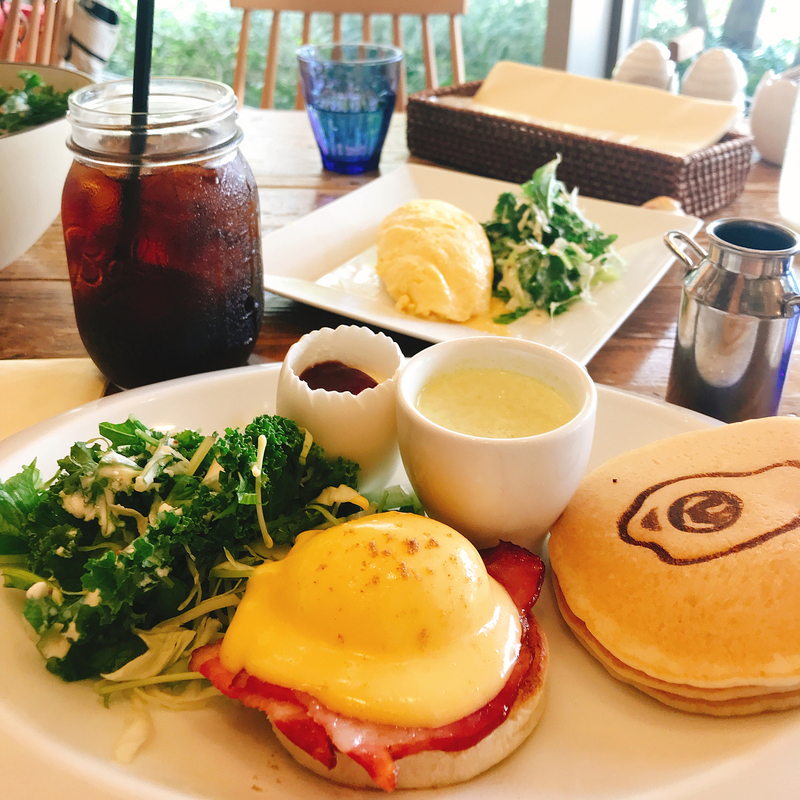 Bills started as a Sydney cafe/restaurant, and has now branched out to a number of countries - Japan has several locations alone. One of my favorites though in the city is the Omotesando location - it can get busy (lines often form, depending on the day and time!) but the food is worth it. 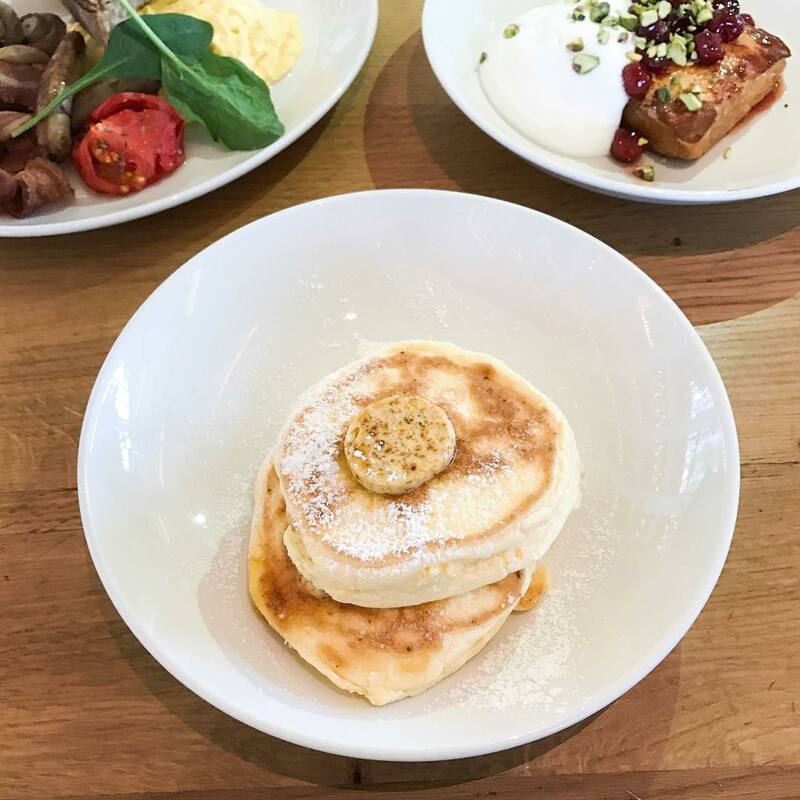 My personal favorite are the banana and honeycomb butter ricotta pancakes (they are super light and fluffy!) but they have other options like the full Aussie breakfast (consisting of scrambled eggs, toast, bacon, roast tomato, herbed garlic mushrooms, and pork and fennel sausage). You can even order Vegemite toast if that takes your fancy. The Omotesando Bills location can be found below. Opening Hours: Weekdays from 9am, Weekends from 8am. 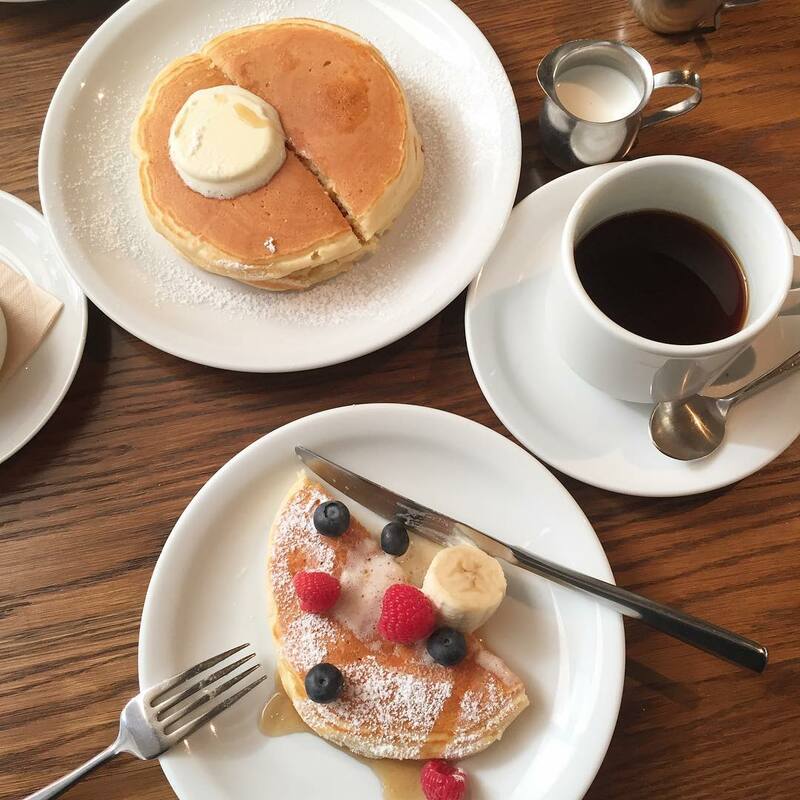 Clinton Street Baking Co. is an offshoot of the New York based company - they're said to have some of the world's best pancakes, and the Tokyo store location doesn't disappoint at all. As well as pancakes, they also have menu items like brioche french toast, smoked salmon eggs benedict, and the Clinton St. omelet. If you don't have time to sit in and eat, there are muffins and other baked goods that you can take away with you. You can find Clinton St. Baking Co. at the below address. Opening Hours: Monday to Sunday from 7am. Ivy Place have breakfast, lunch, and dinner menus - so even if you're not an early bird they're a good spot to grab a bite to eat. However, we are talking breakfast here, so some of their menu items include banana fritters with a peanut butter cream dipping sauce (ooooh! ), fried eggs with sauteed kimchi, kale, and roasted potatoes, and a zucchini, asparagus, savoy cabbage and chevre frittata. Definitely has those fancy-schmancy vibes (in a good way). The Daikanyama area is also one of my favorites in Tokyo to just wander around (especially for places like the awesome Tsutaya bookstore!) so have a wander around if you are headed here to start your day. If you're in the Daikanyama/Shibuya area, Ivy Place can be found on the map below. Opening Hours: Monday to Sunday from 7.30am. In my opinion this has to be one of the coolest concepts for a breakfast cafe. Each month, they take a new country and their breakfast menu is inspired from that! 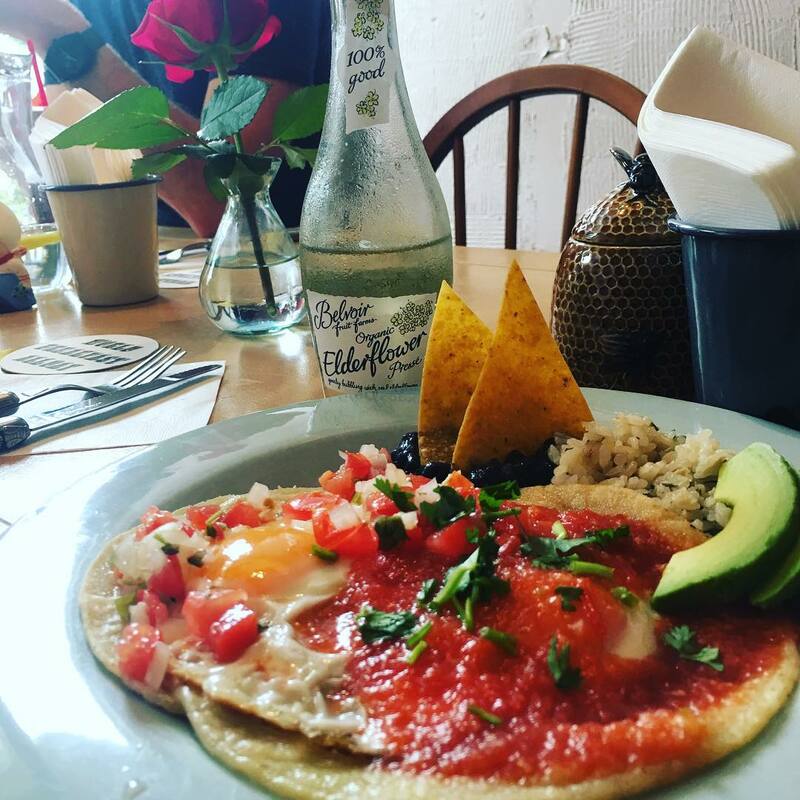 Right now their breakfast is a Mexican inspired one, but previous offerings have included everything from Bulgarian to Brazilian, Moroccan to Mongolian and more. Talk about a unique and fun way to embrace different cultures through their food. You can find World Breakfast All Day here. If none of these options are nearby to where you're staying, always try asking the hotel staff or concierge where you're staying if they have recommendations! They are likely to know all the top spots nearby that will be open early for you. Enjoy Tokyo, and Safe Travels!